BRANDYWINE HUNDRED, Del. — New Castle County Executive Tom Gordon presented the Executive's Bowl to the Ice Cream Shoppe of Bellefonte for taking first place in the second “Best Sundae on Sunday” competition at the New Castle County Ice Cream Festival at Rockwood Park this past weekend. 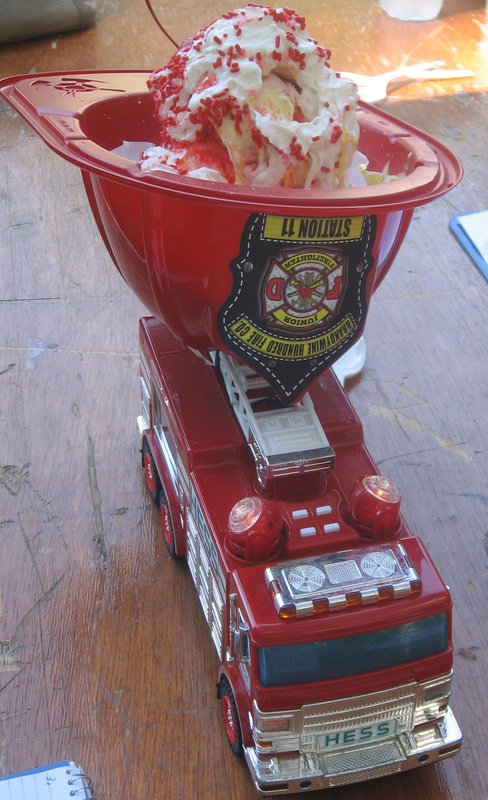 The Ice Cream Shoppe won with its entry, Rockwood Fire Blazing Sundae. It was the second Best Sundae on Sunday contest held at the nationally renown Ice Cream Festival. Seven dairies and creators of ice cream treats participated in the June 28 event. The runner up was Caffe Gelato of Newark with its Rockwood Dark Chocolate and Salted Caramel Sundae. Placing third was Hy-Point Dairy of Brandywine Hundred, which served a Rockwood Jammin’ Jelly and Cup o’ Joe Decadent Donut Delight. New Castle County Executive Tom Gordon presented the Executive’s Bowl to the team from the Ice Cream Shoppe on the children's stage near most of the ice cream vendors. Barry Schlecker of Barry’s Events, producer of the festival, awarded the winner a free vendor’s space at the 2016 festival. A portion of the proceeds from sales of the winning sundae will be donated to the Delaware Burn Camp, a program that provides a safe and natural environment to promote the physical and emotional healing of children ages 6-18 who have suffered burn injuries, said Alex Meloro, co-owner of the Ice Cream Shoppe, which placed second in last year’s competition. Judges for the event were Delaware food writer Pam George, Delaware Today magazine editor Suzanne Loudermilk, and Eric Ruth, marketing and public relations coordinator for the Delaware Tourism Office. They evaluated the entrants for taste, presentation and creativity. Also participating in the contest were: Cajun Sno, UDairy (the 2014 winner), Sweet Lucy’s, and Battiato Farms.